After three years of successful operation of their 1500 Series barge mounted E-Crane®, Mulzer Crushed Stone ordered their second barge mounted E-Crane® in 2014 for their Shamblin Stone operation in Dunbar, WV. 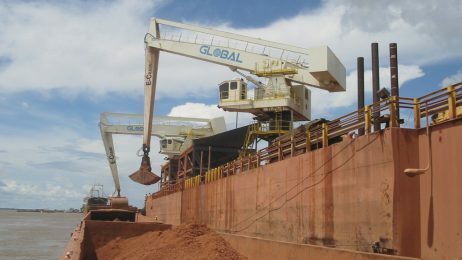 This machine is used for unloading barges of aggregate. 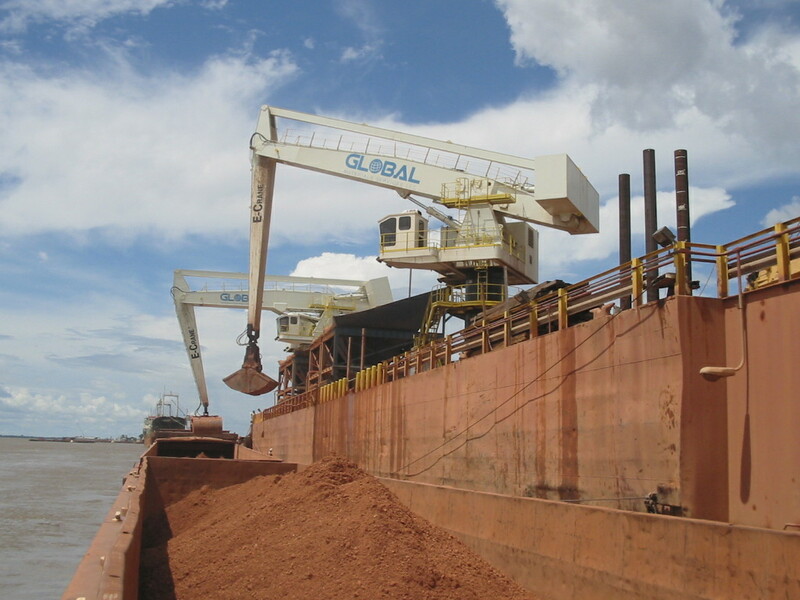 The E-Crane® unloads the material directly into a hopper, located on an adjacent barge to the E-Crane® barge. 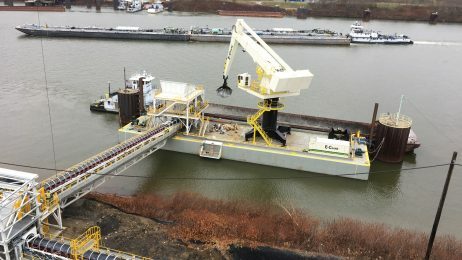 Because the E-Crane® is barge mounted, Mulzer has the flexibility to transport the entire barge unloading system to wherever they need to perform barge unloading operations. 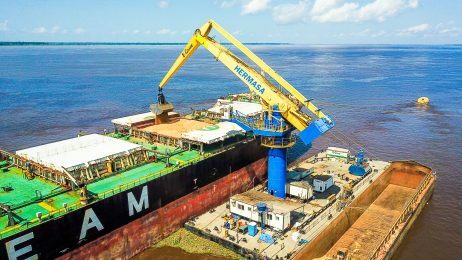 The machine has been performing well since installation in 2015, and Mulzer is happy with the success of the project. 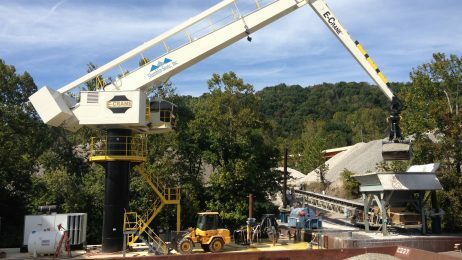 E-Crane® is very proud to have Mulzer as a repeat customer, and is looking forward to continuing to work with this great company.